Singapore has a wide network of roads. Road signs are prominently displayed. The ERP system helps to regulate traffic flow in the Central Business District (CBD). All cars in Singapore are fitted with a device called In-Vehicle Unit (IU). This device holds a stored cash card which automatically deducts fees for each ERP gantry when drivers pass through the CBD. The cash cards can store up to S$500 and can be purchased at all banks, post offices and petrol stations. The cards can be topped up at any Singapore Bank, ATM or 7-eleven stores. You will need different types of traffic permits before you use your vehicle on the road. This is to ensure the safety of other people and their vehicles. Driving without a traffic permit is considered to be an offence. Expatriates desirous of living in Singapore for more than 12 months will have to acquire a valid Singapore driving license. 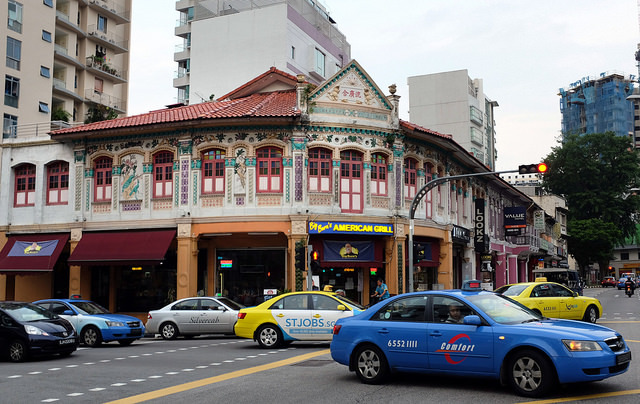 Those who reside in Singapore for less than 12 months must have a valid national driving license and International Driving Permit that has been issued by an authorised body in their home country. For those holding national driving licenses which are not in English, a translation of the license into English will be necessary. Residents of ASEAN member countries only need a national driving license to drive in Singapore; an international driving permit is not required. Passport size colour photograph is another requirement. Glasses worn should not be tinted. Proof of stay in the country, e.g. educational transcripts or Letter of Acceptance by the educational institution and the relevant student visa in the passport. Income Tax Returns or supporting documents from employers and the relevant employment visa in the passport. Singaporeans drive on the left. Seat belts are mandatory for all occupants, front and rear and must be worn even while travelling in taxis. For children under eight years of age, a suitable child restraint is necessary irrespective of whether children are travelling in the front or rear. Minimum age to drive is 18 years. Headlights must be turned on between 19:00 and 07:00. Use of mobile phones while driving is not permitted. Third party insurance is mandatory. Carry your driving license and car insurance certificate with you at all times. You can purchase a book on the Highway Code at any of the three driving centres or most book shops in Singapore. This will help you know about speed limits, traffic regulations, offences and penalties. Speed limits vary between 40kph in urban areas to 80/90kph on expressways. The Singapore Police Force runs a Driver Improvement Point System (DIPS) with the aim of penalising persistent bad driving. Under this system, a driver can accumulate up to 24 demerit points within 24 months before he becomes liable for suspension. Any driver who has been suspended previously will be allowed to accumulate no more than 12 demerit points within 12 months.